Home Good Deals Wacky Wednesday Coffee Sale! Go big or go home, that is our mantra and Black Friday is no exception! We are starting now, we are going big and you are going to love it! Each and every day between now and Cyber Monday (December 1, 2014) we will be posting an unbelievable deal on great gift items and top sellers. The deals last the entire month (or while supplies last), you readers are going to LOVE seeing new deals everyday! We will keep you informed with an update each time a new offer is added so that you can be the first to spread the news! Month long Black Friday Blowout sale! Deal #1 is already live and it is a beauty with a $6.00 savings (told you we were going big!). Our Hiline coffee capsule variety pack makes a great gift for any Nespresso user! We will be continuing our regular Wacky Wednesday sale through the month as well to offer your readers even more savings! Wacky Wednesday Weekly Coffee Sale! Every Wednesday we will post a totally wacky sale price on a variety of coffees including Keurig Kcups and Nespresso compatible capsules. Dont forget shipping is free when you spend $59. or more! This weeks sale items will appeal to the dark roast drinkers who like a little bit of kick in their morning cup of joe! 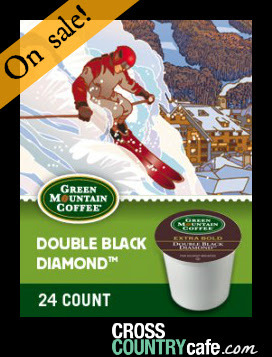 Green Mountain Double Black Diamond Keurig K-cup coffee is on sale for $11.99 per box of 24! 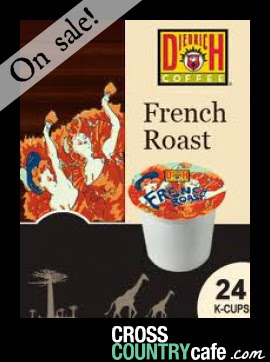 Diedrich French Roast Keurig K-cup coffee is on sale for $9.99 per box of 24! Happy posting, thank you for joining us on this crazy roller coaster they call the holiday!